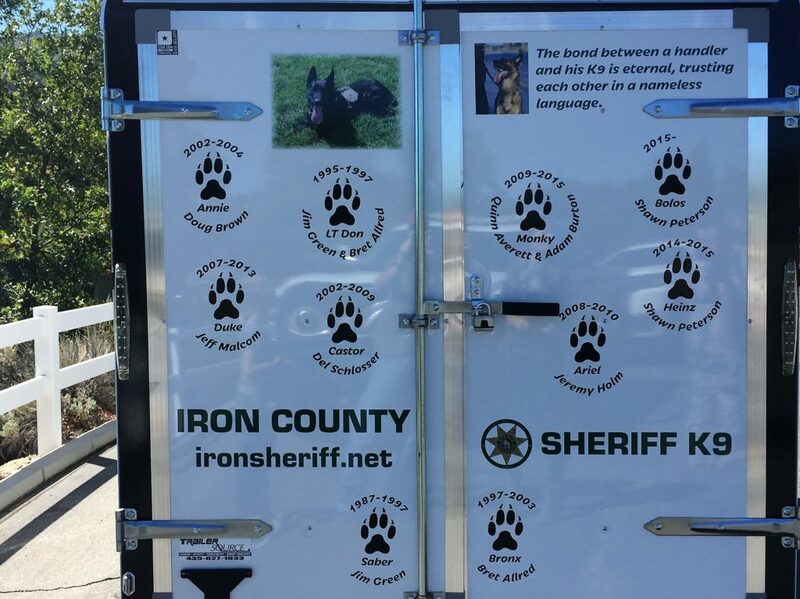 IRON COUNTY – A big bang goes off and Bolos, a police K-9, rushes in front of his handler and the SWAT team. 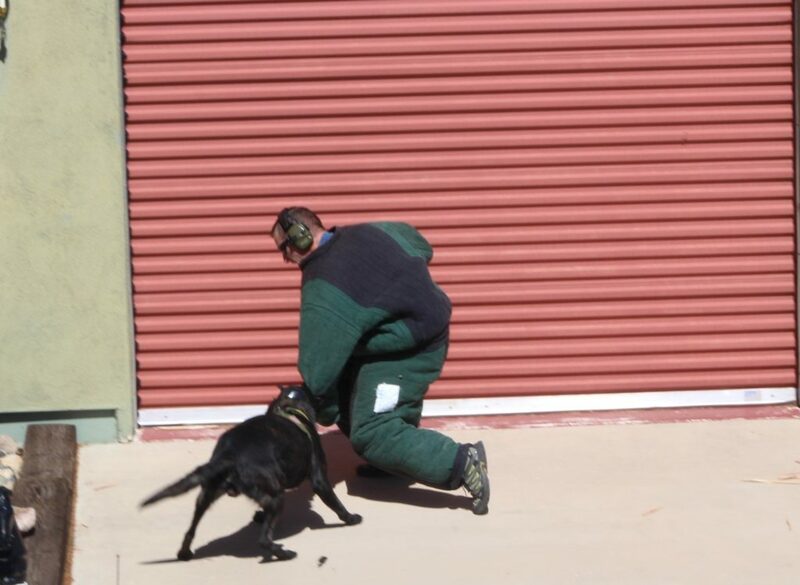 He’s first in line to run through the makeshift door and tackle the “bad guy” standing behind it to the ground. 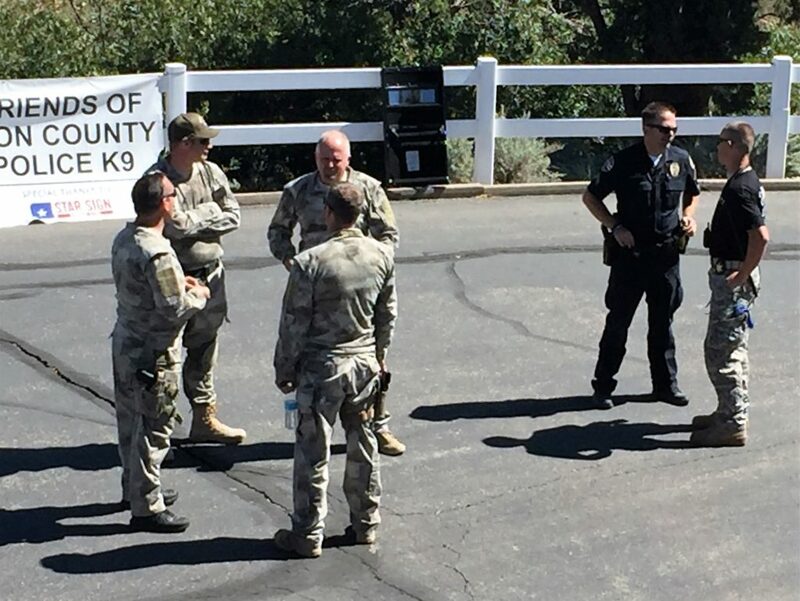 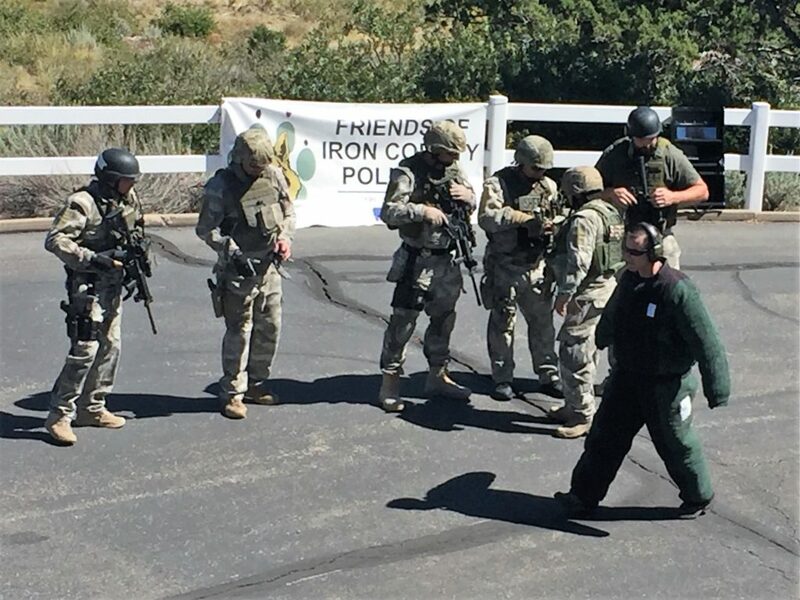 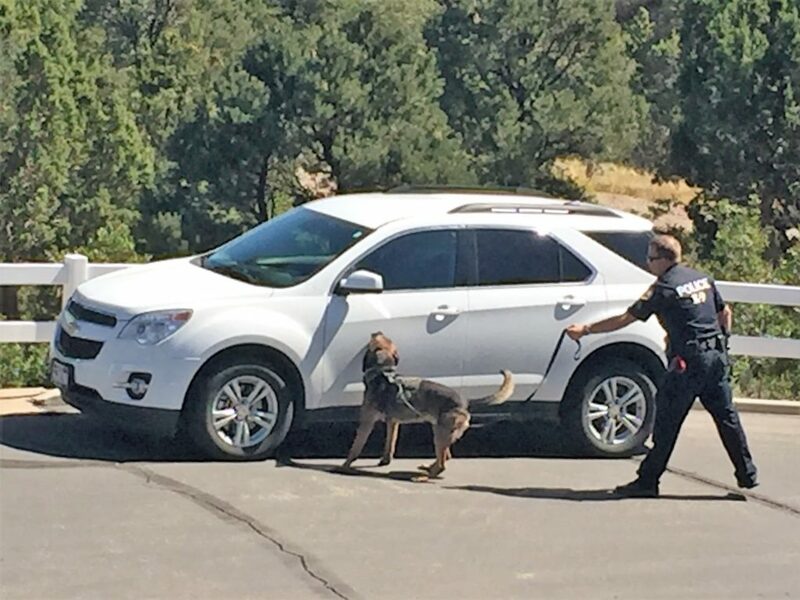 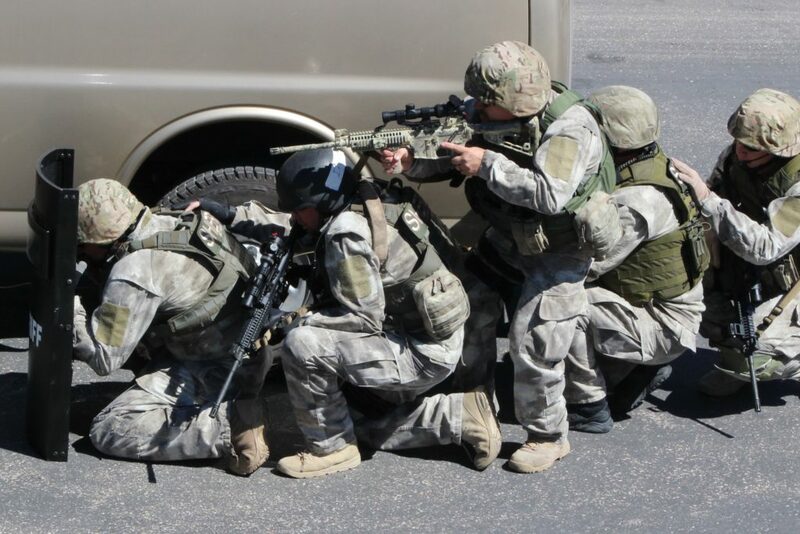 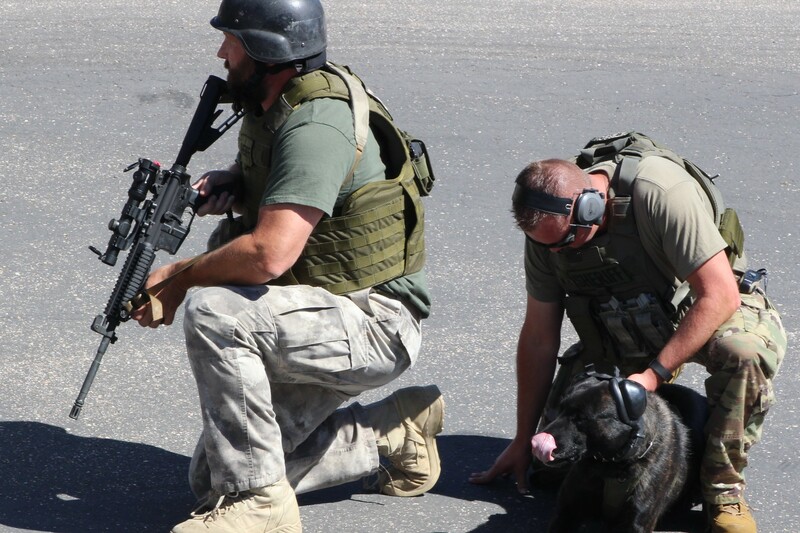 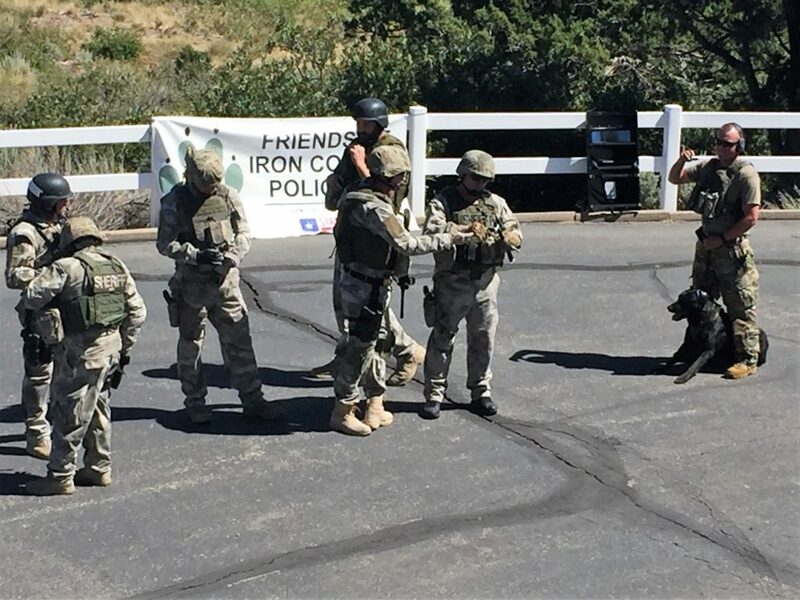 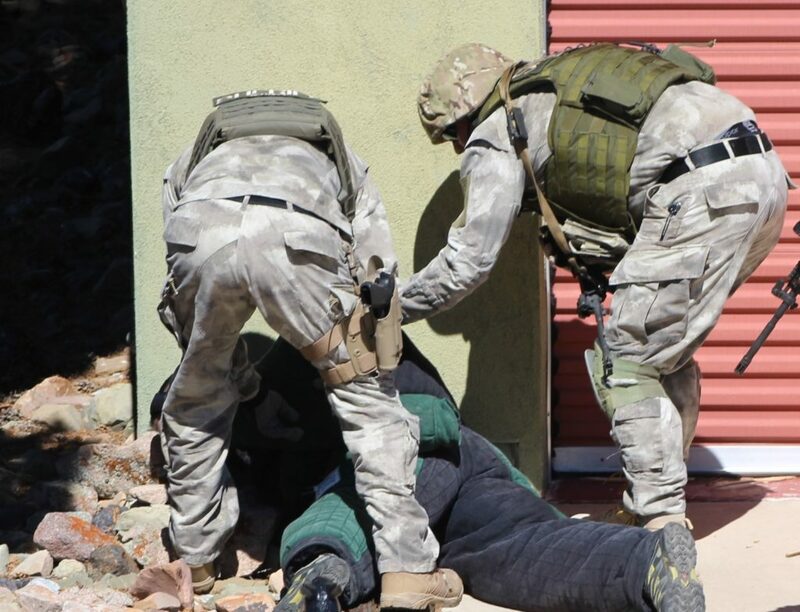 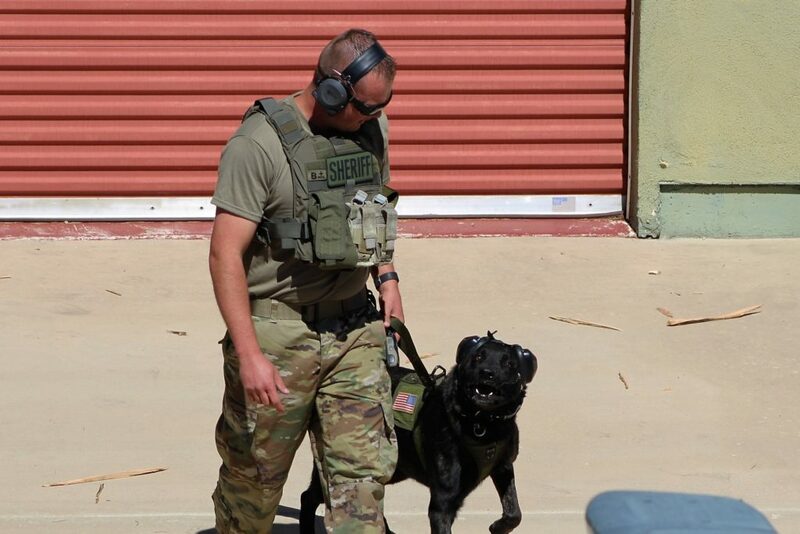 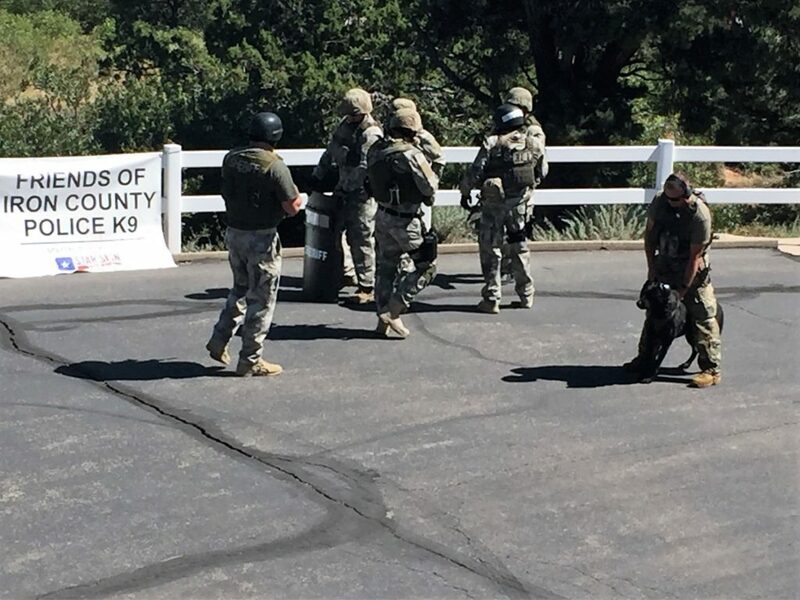 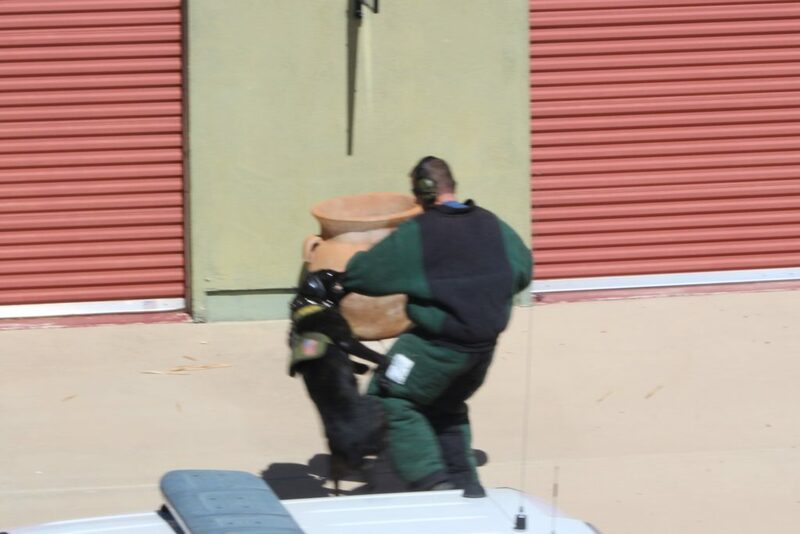 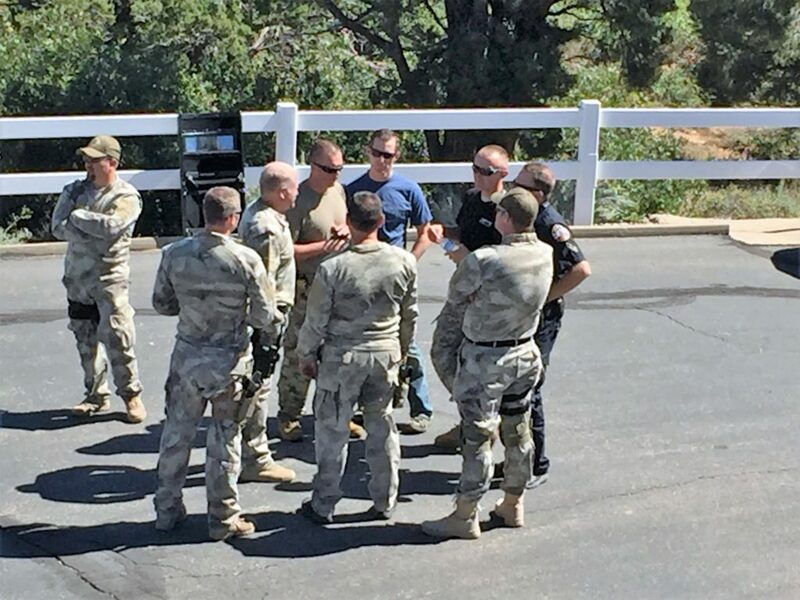 Most dogs would run away at the loud noise that resounded through the valley and reverberated off the surrounding hills Saturday during a K-9 exercise highlighting the skills of local police dogs. 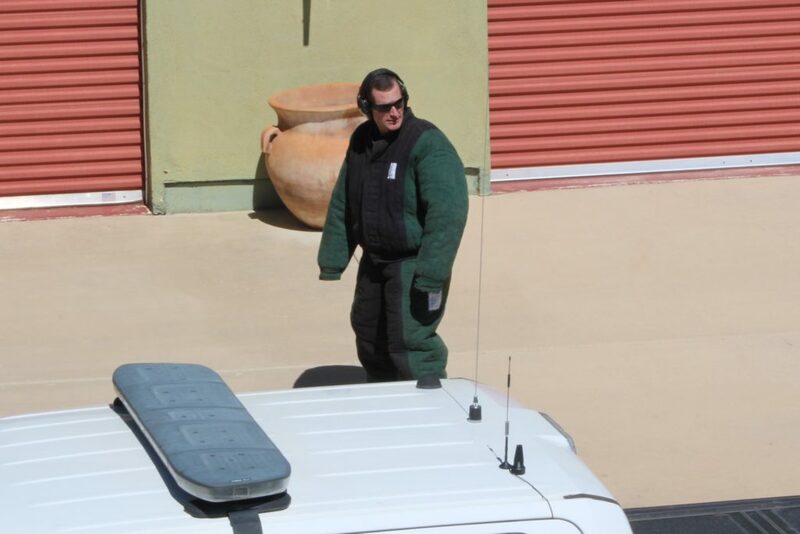 But not Bolos. 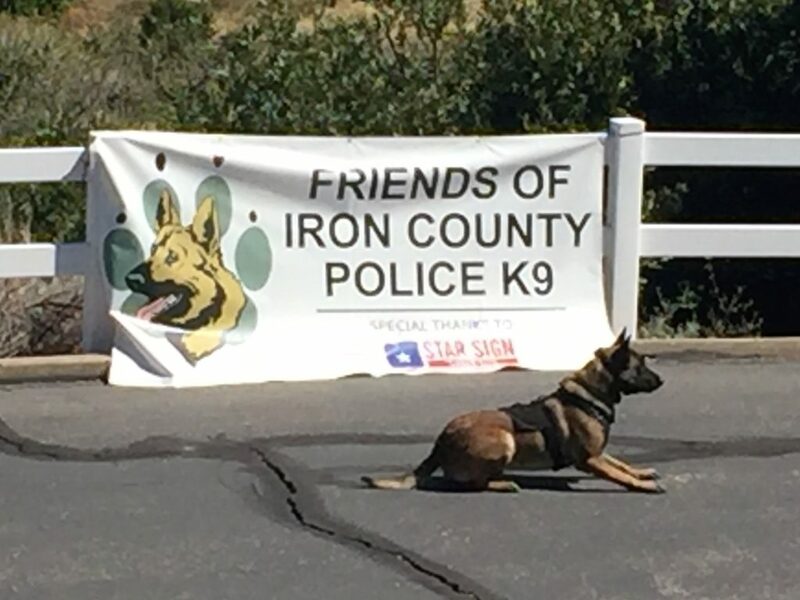 Like his handler, Iron County Sheriff’s Deputy Shawn Peterson, Bolos runs to danger rather than away from it. 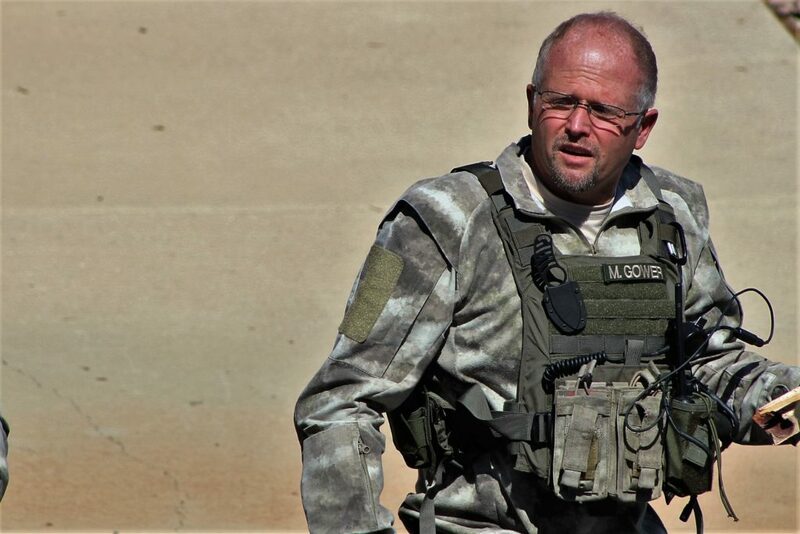 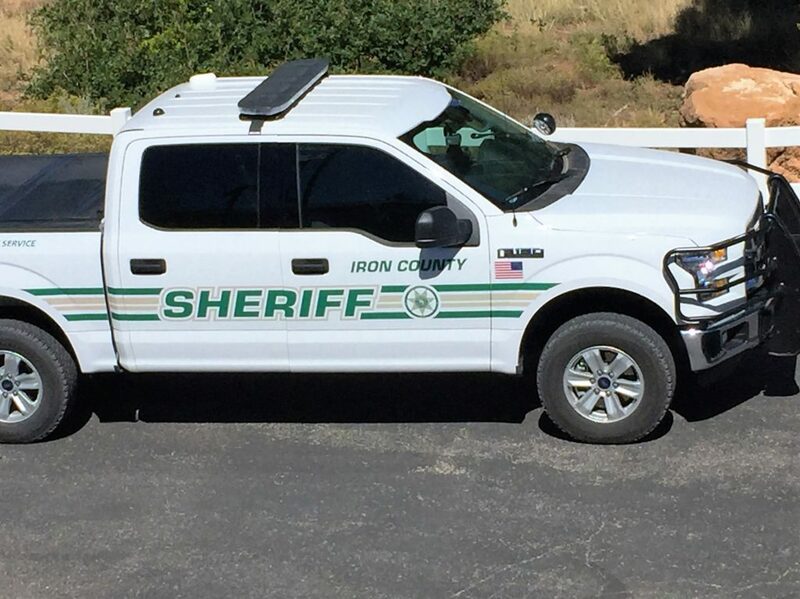 He’s one of the strongest tools the Iron County Sheriff’s Office has to fight crime, with thousands of hours of training behind him to know exactly what to do at any given situation. 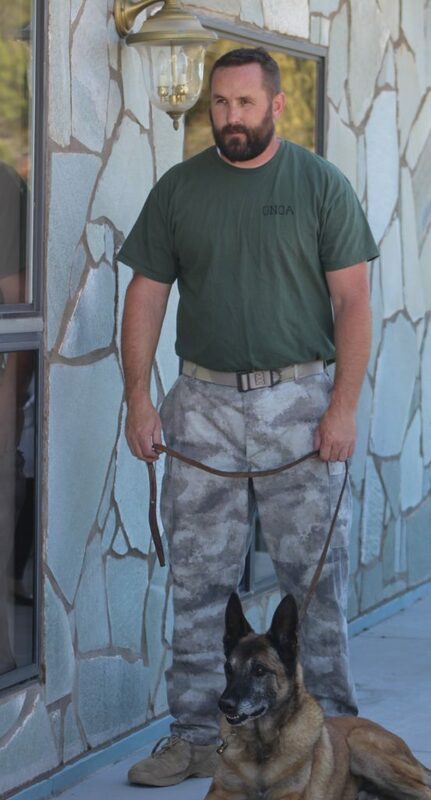 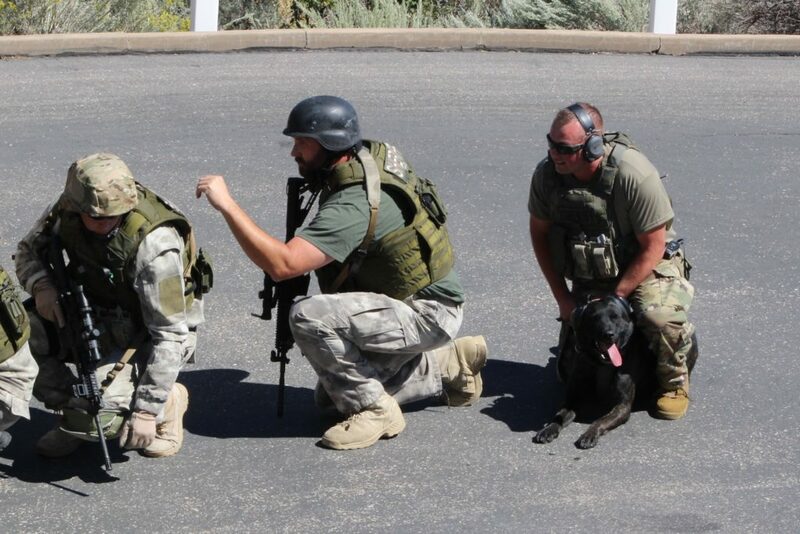 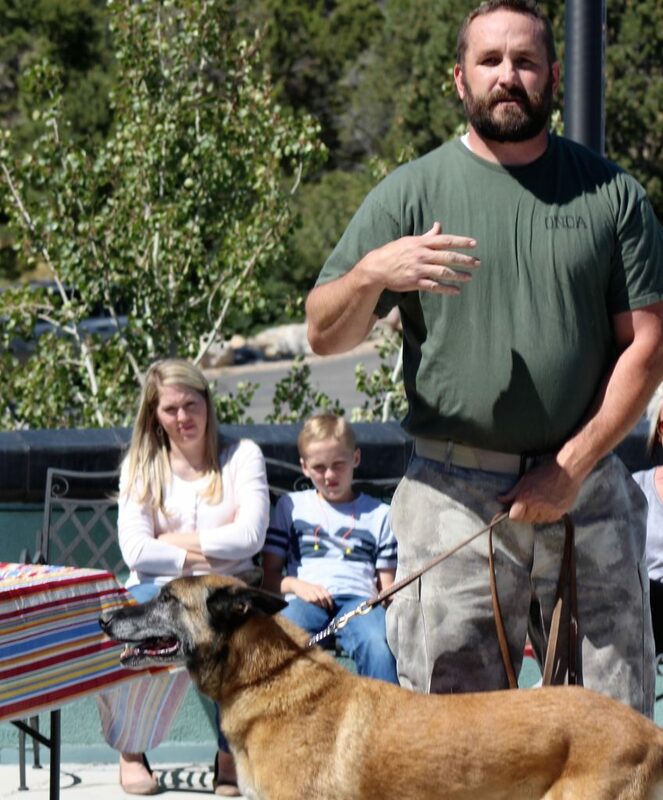 “These K-9s are another tool for law enforcement in our toolbox that helps us to do our jobs,” Utah Highway Patrol Sgt. 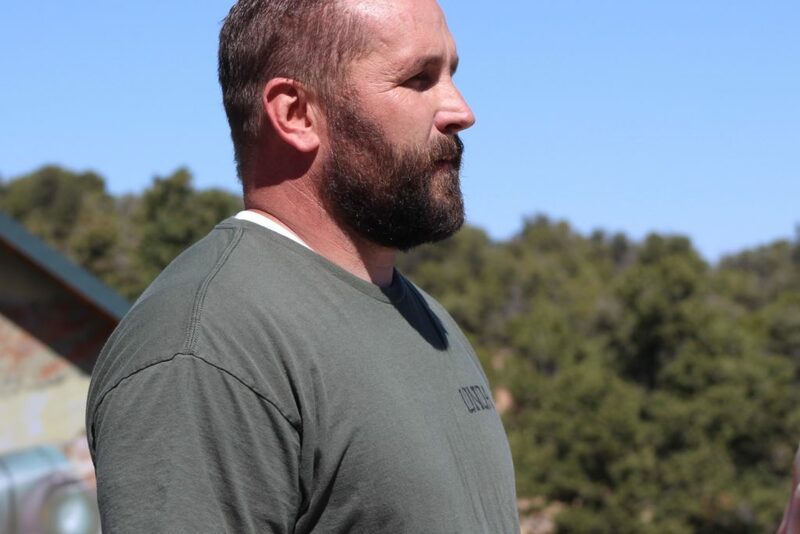 Ryan Bauer said. 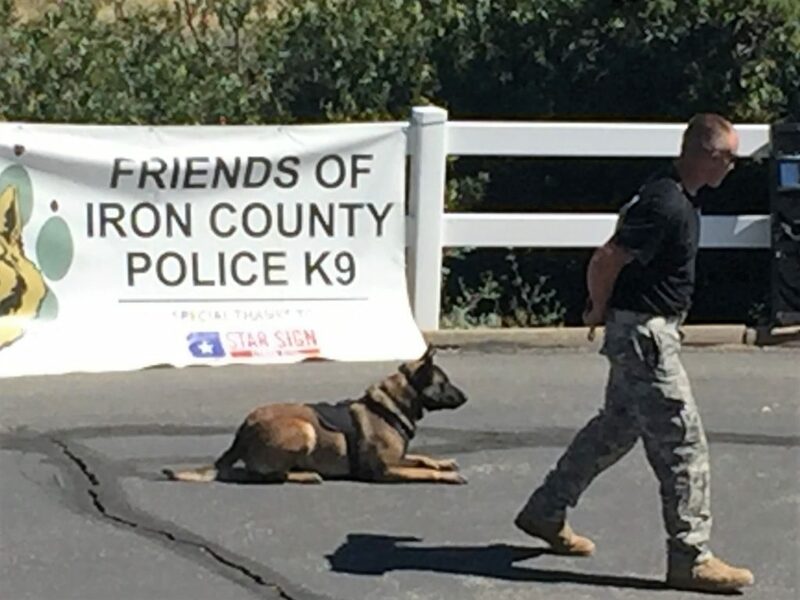 Law enforcement from all over Iron County had a chance Saturday to show off the skills of their police K-9s for a group of potential donors at the annual fundraiser for the nonprofit foundation Friends of Iron County Police K-9s. 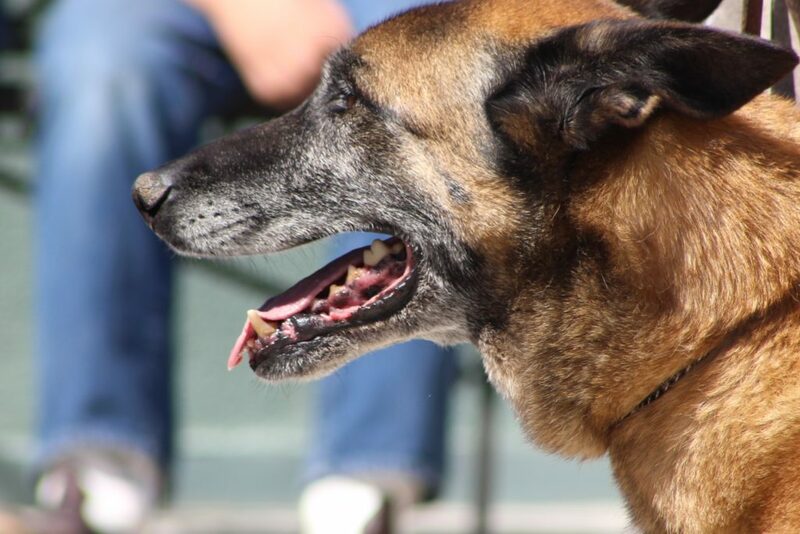 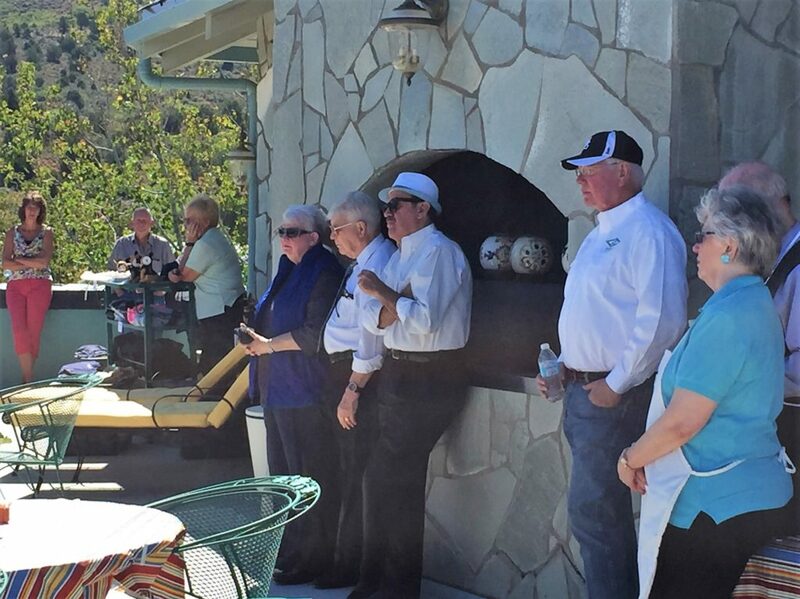 The group helps pay for the training and ongoing costs of medical bills for the police dogs. 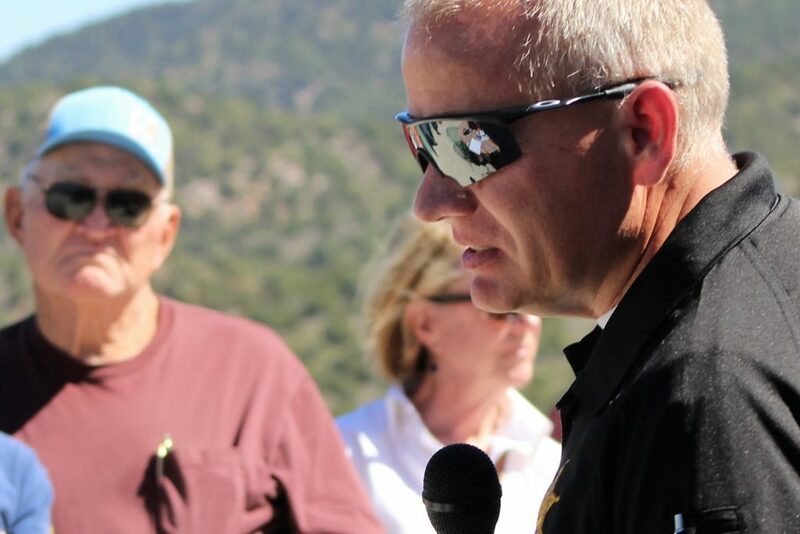 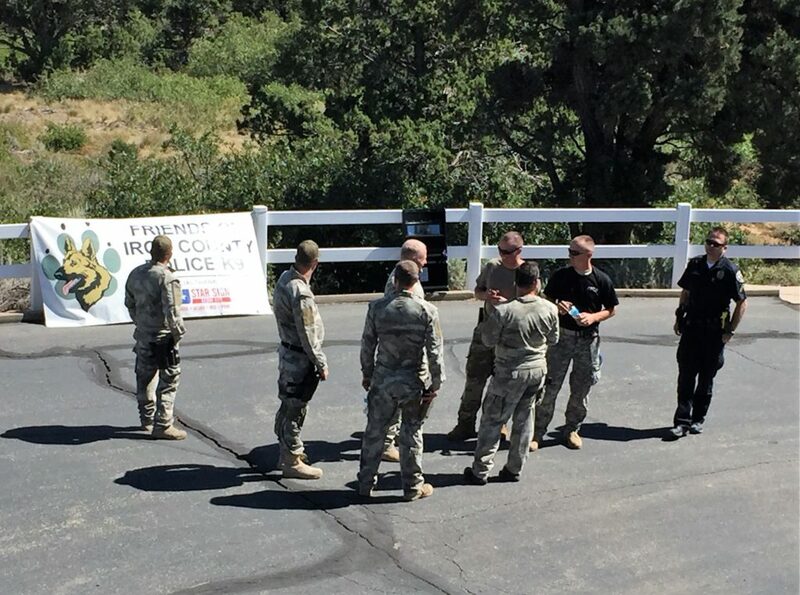 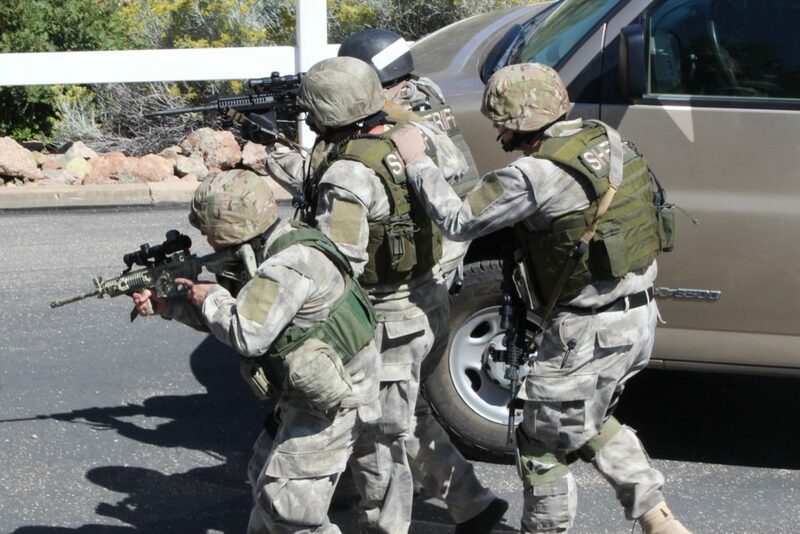 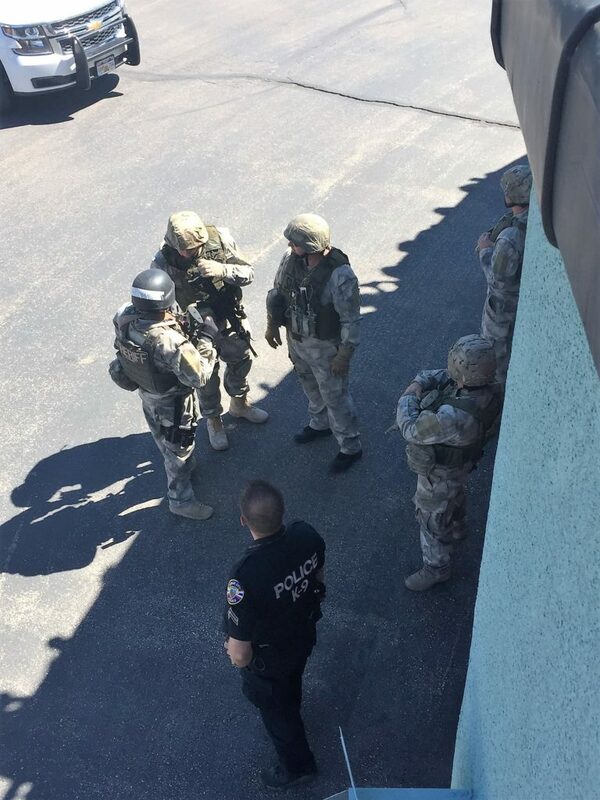 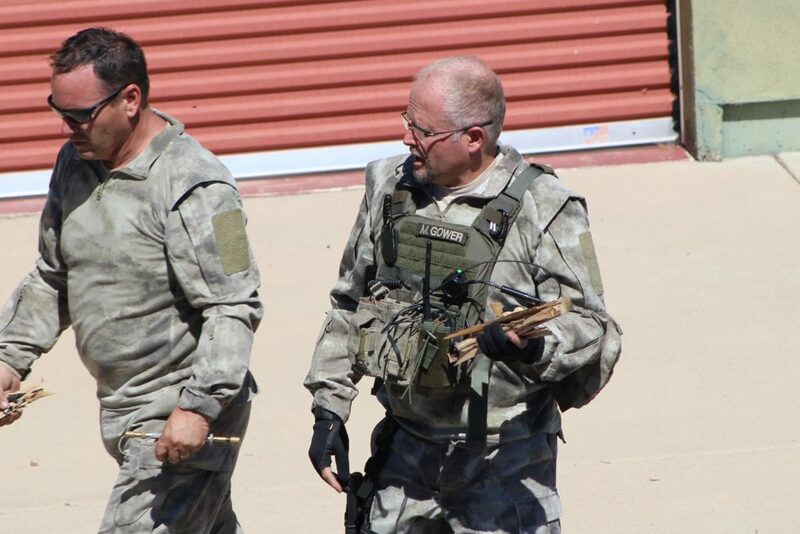 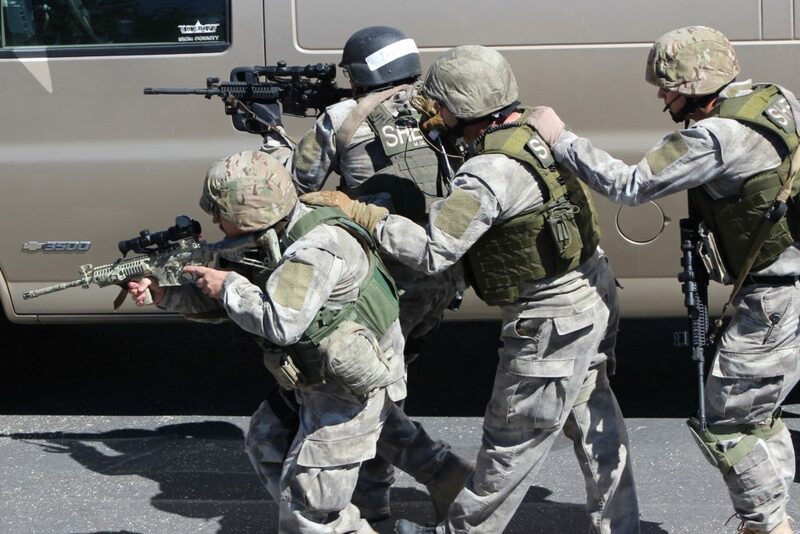 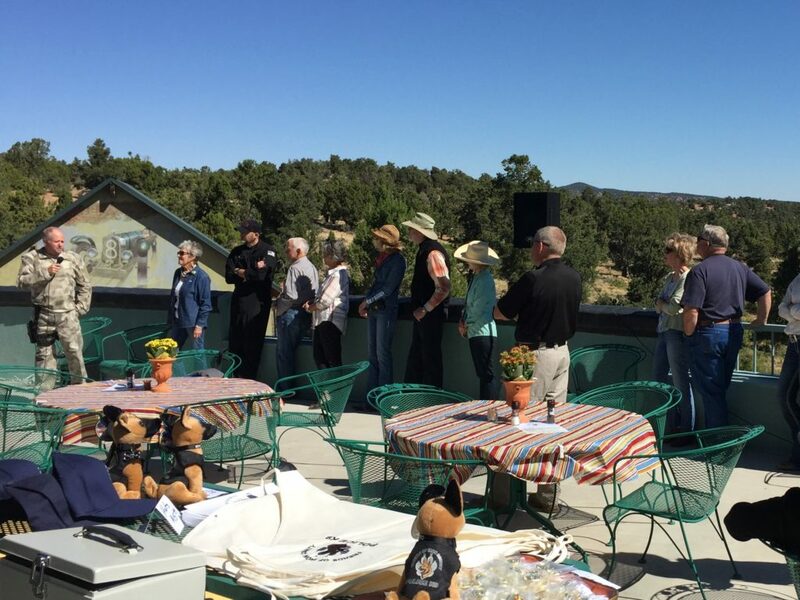 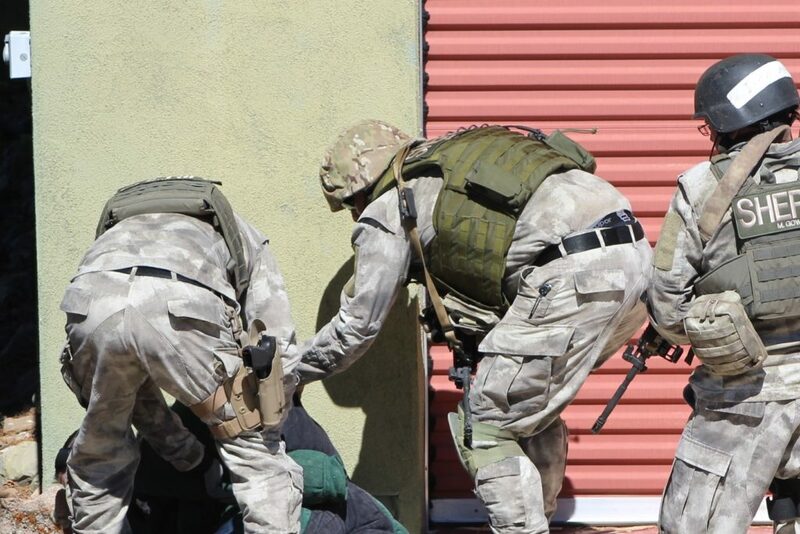 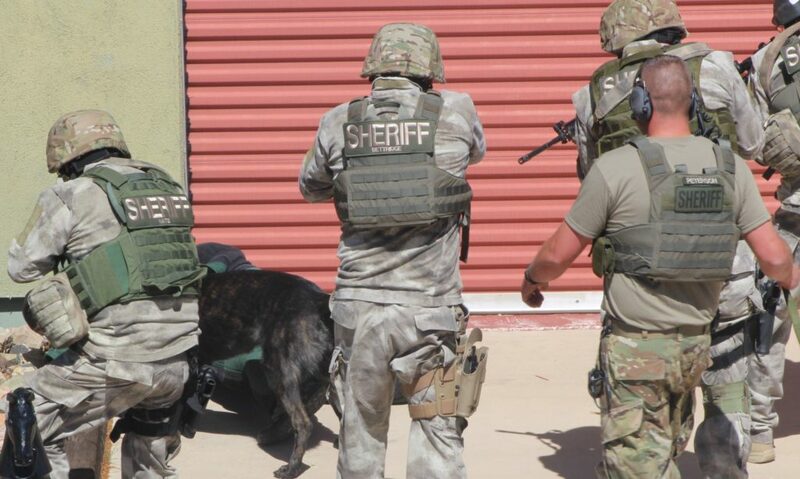 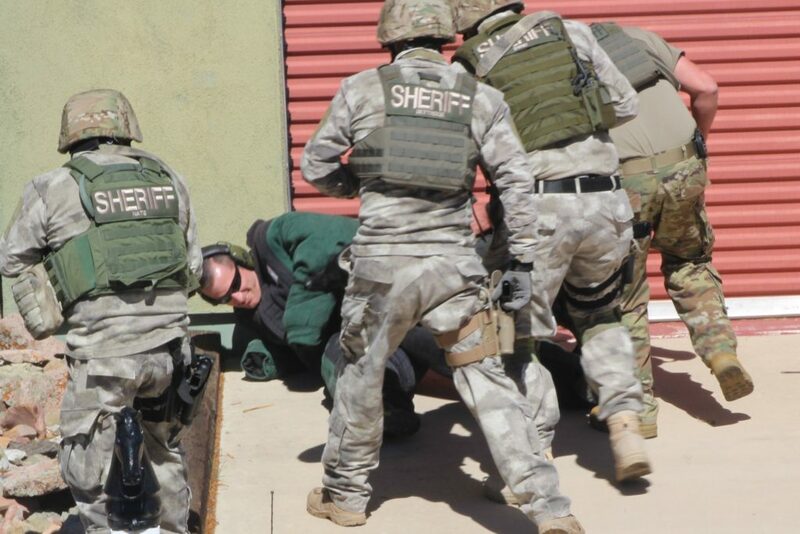 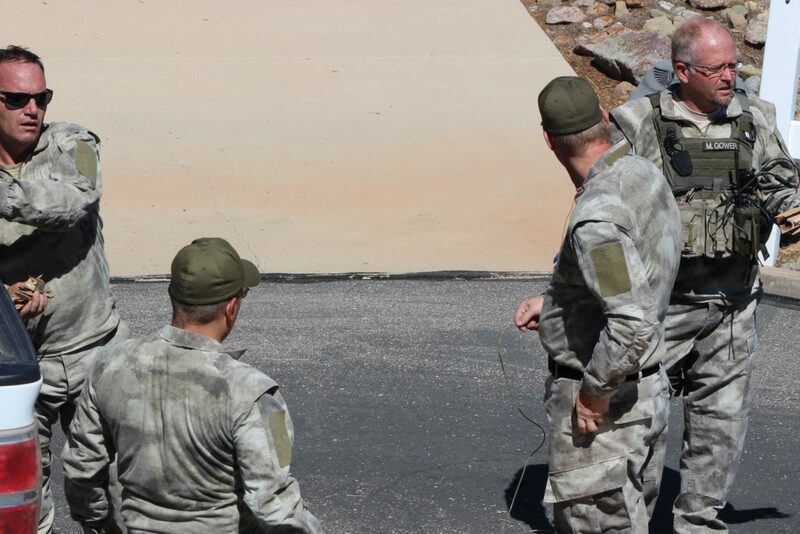 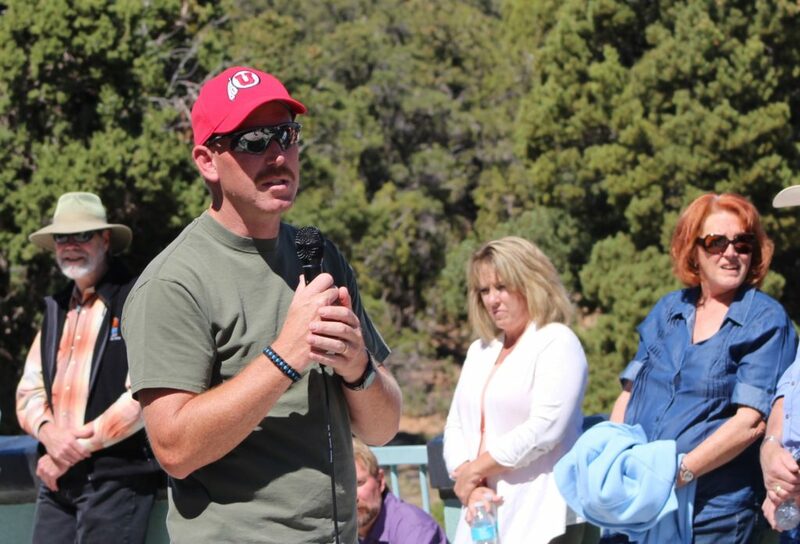 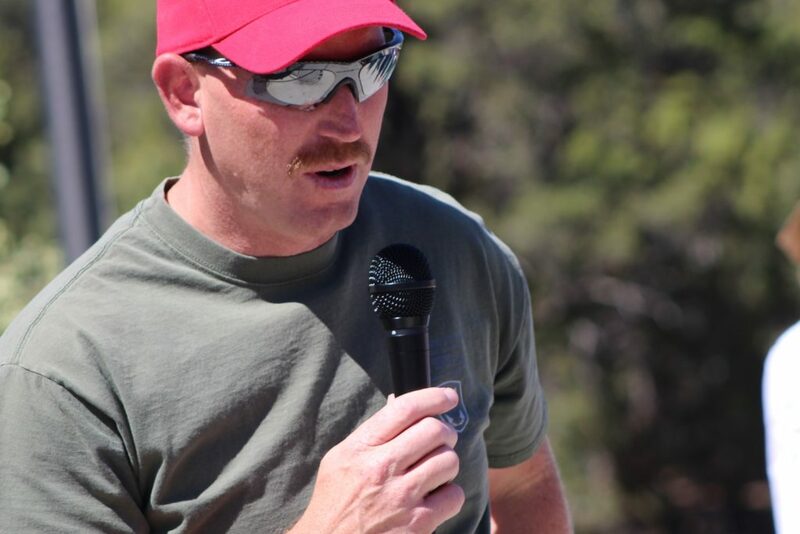 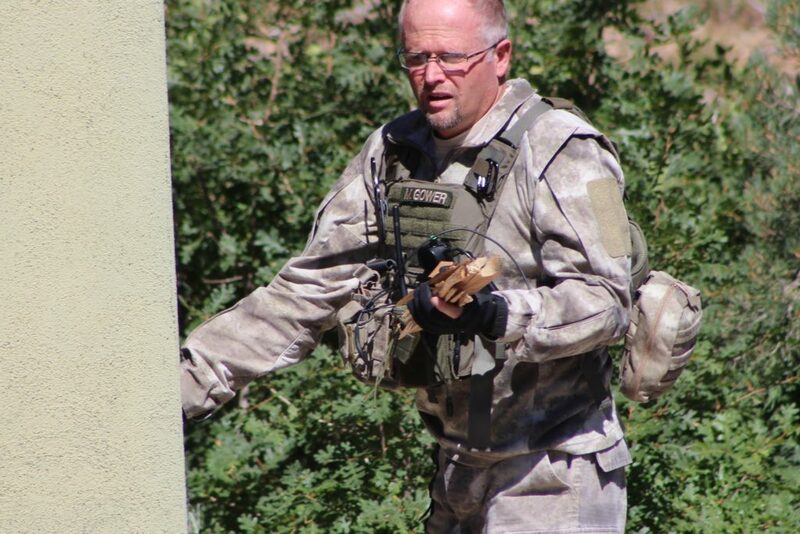 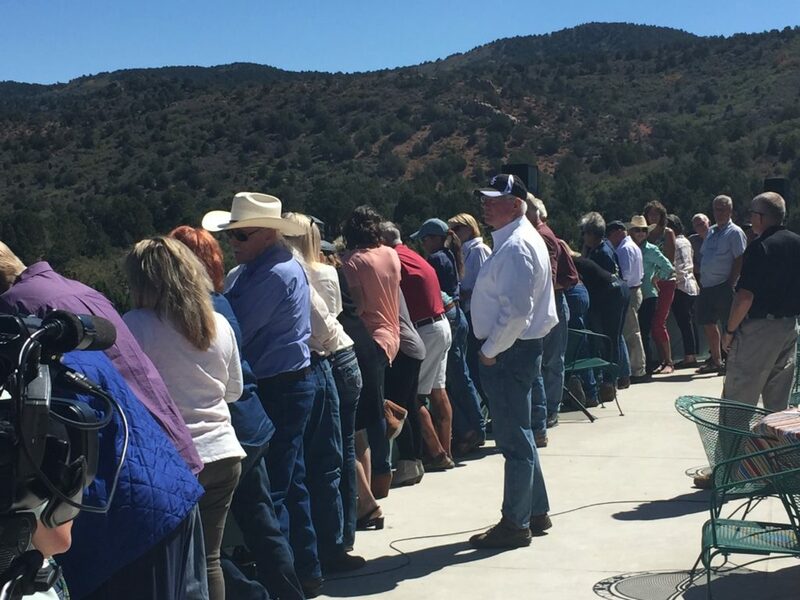 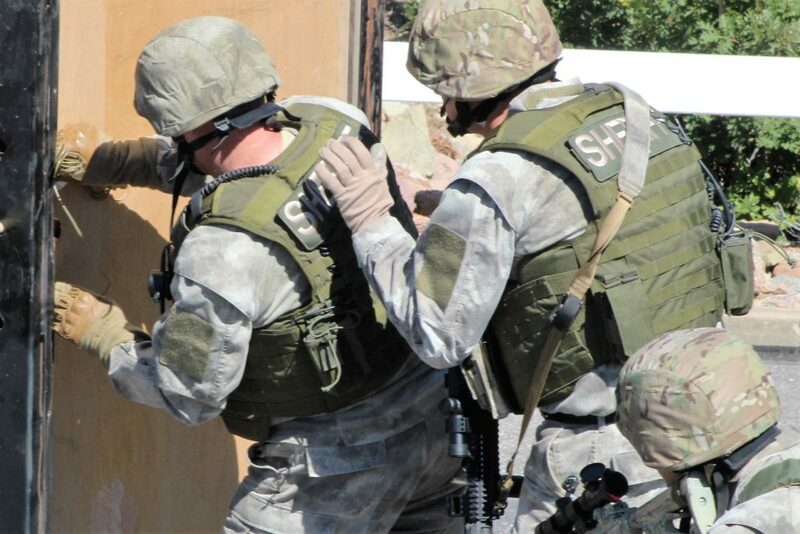 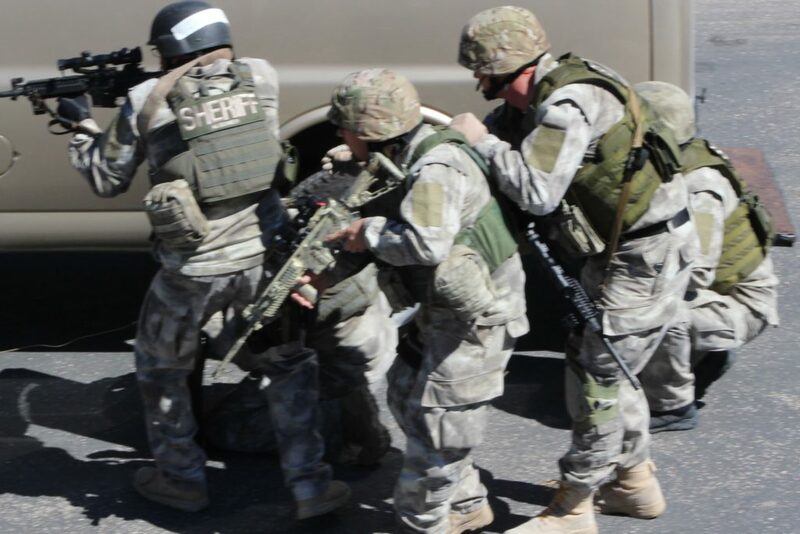 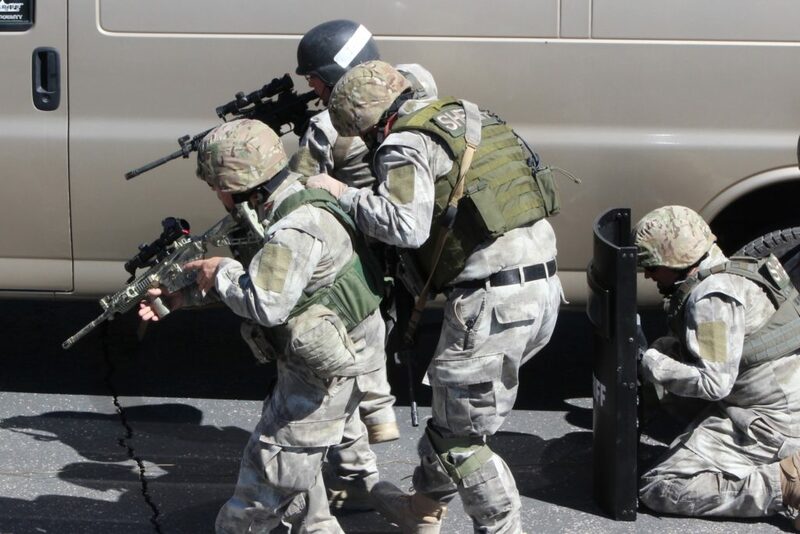 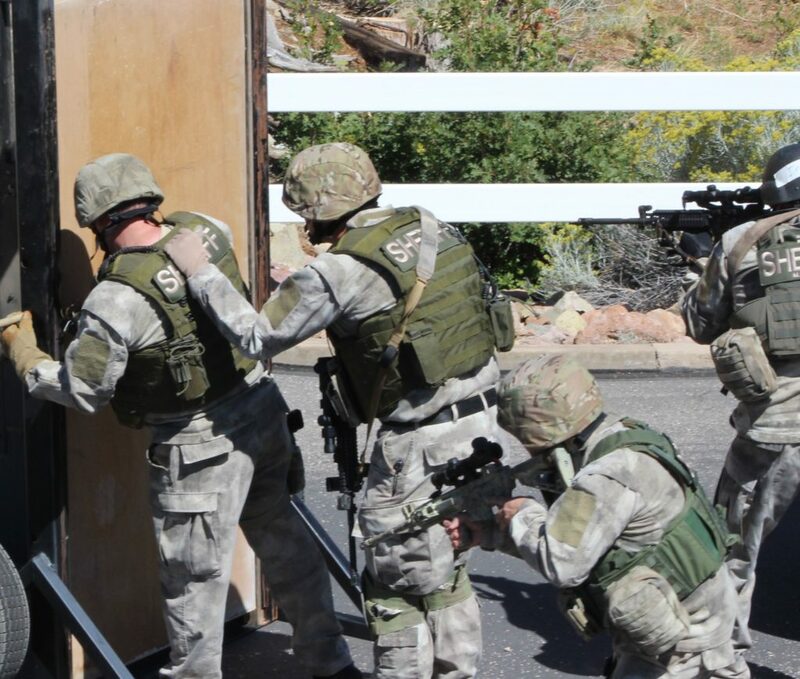 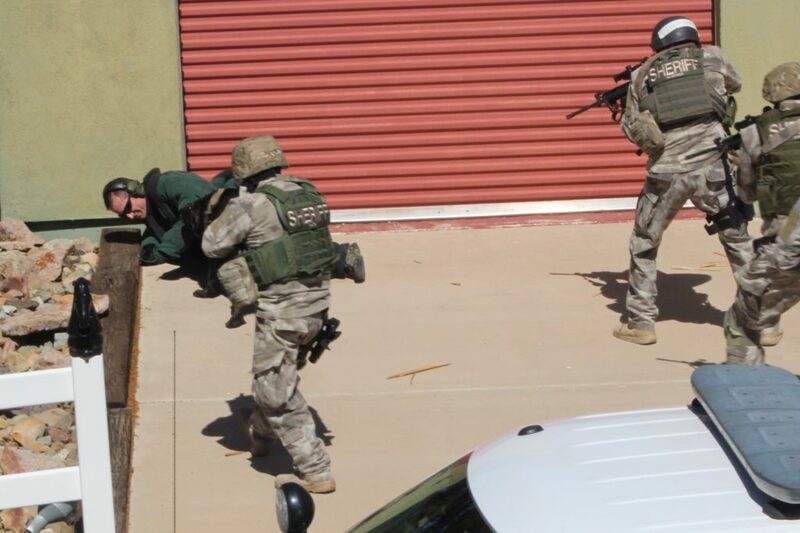 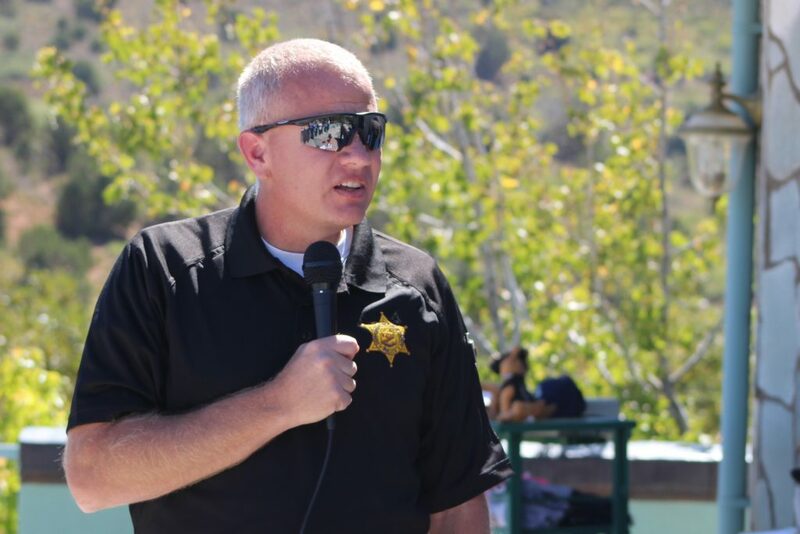 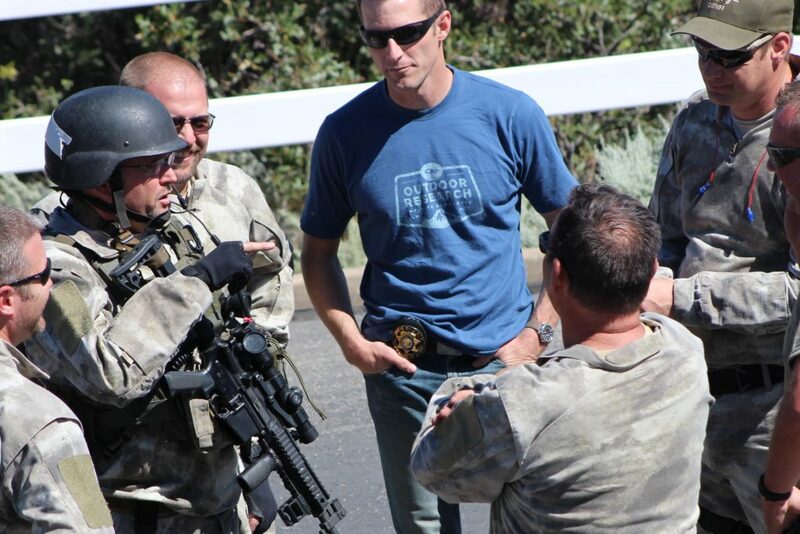 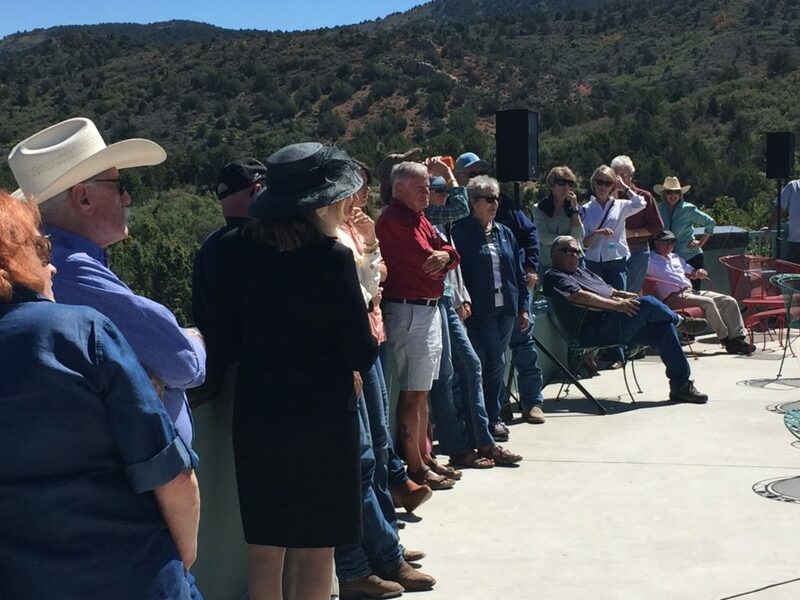 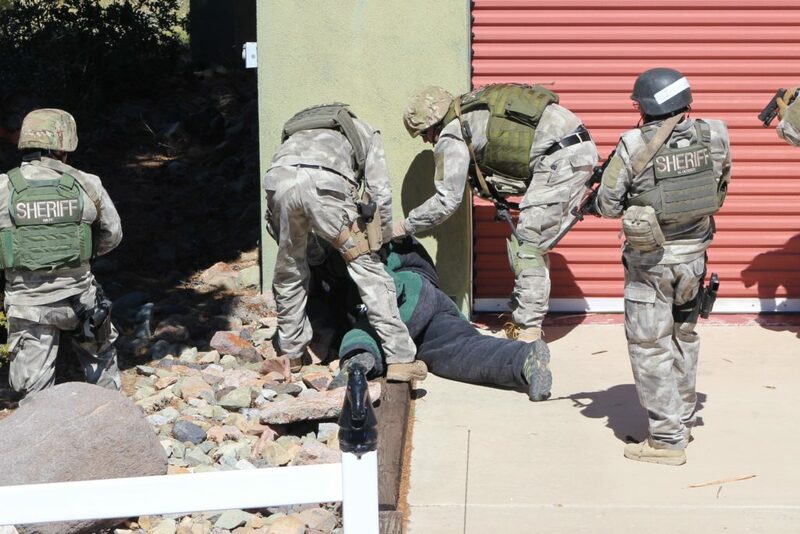 Multiple law enforcement agencies were represented at the event, including Iron County Sheriff’s Office, Cedar City Police Department, Utah Highway Patrol and U.S. Forest Service. 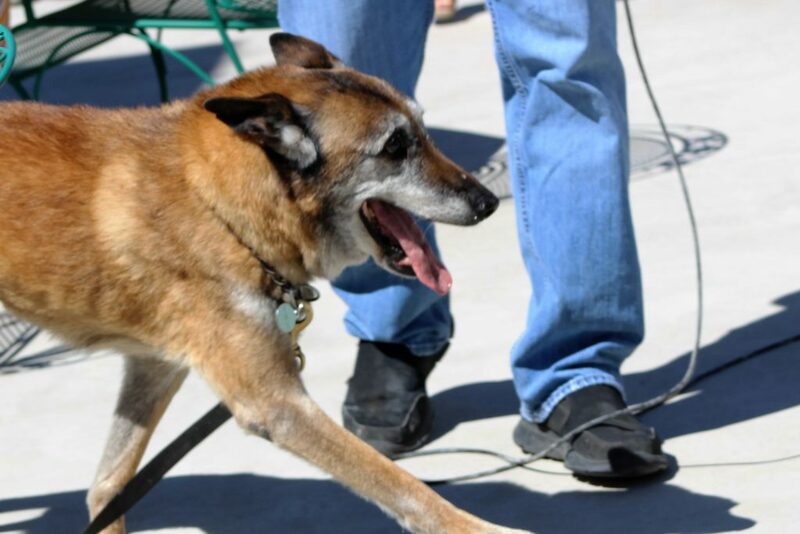 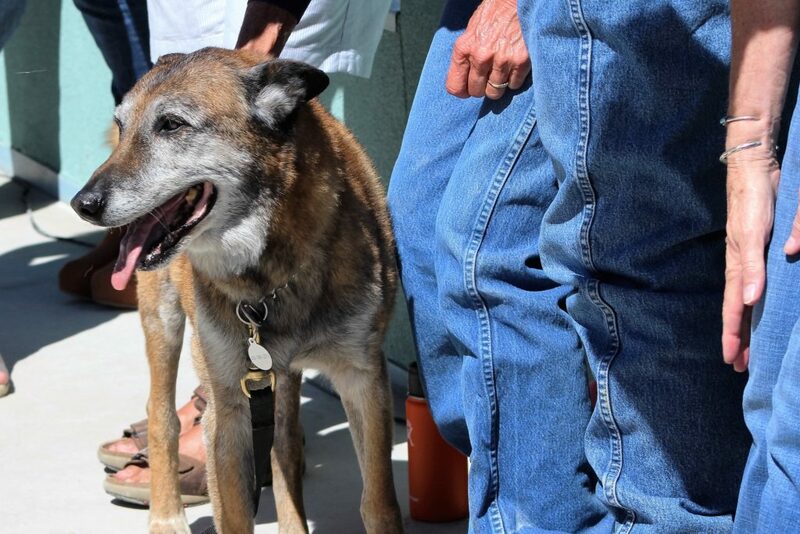 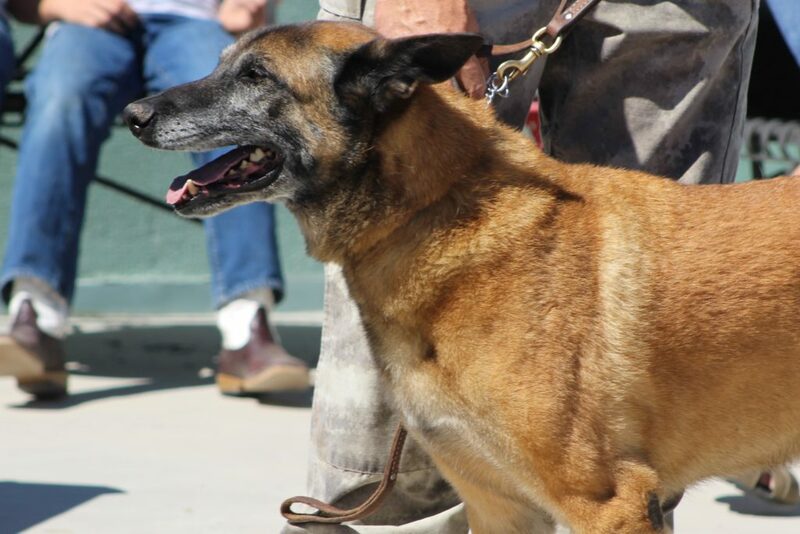 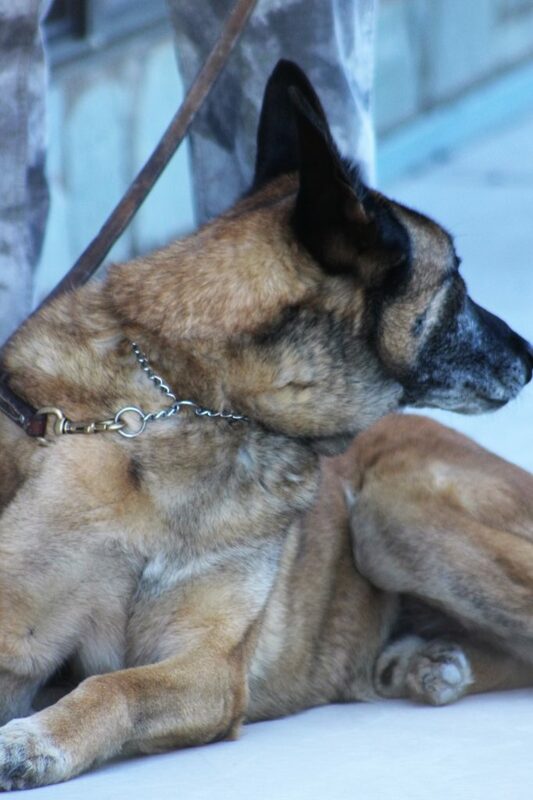 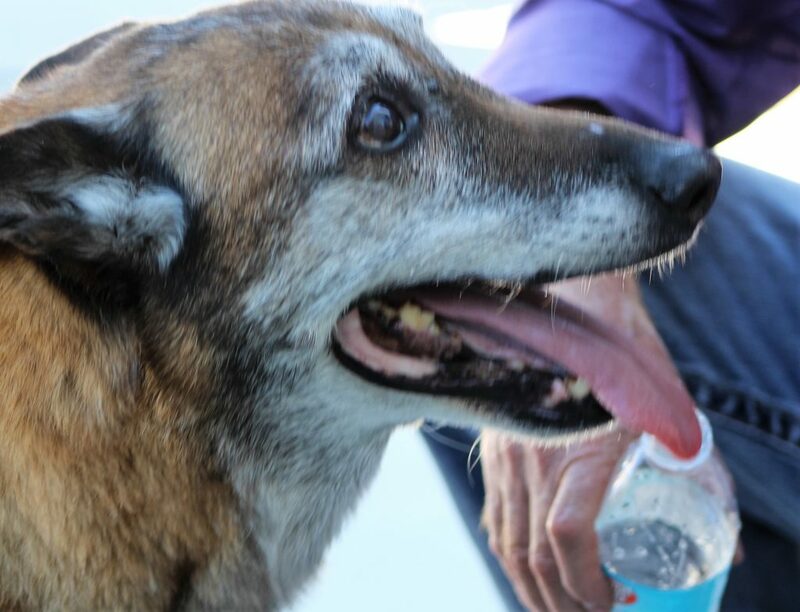 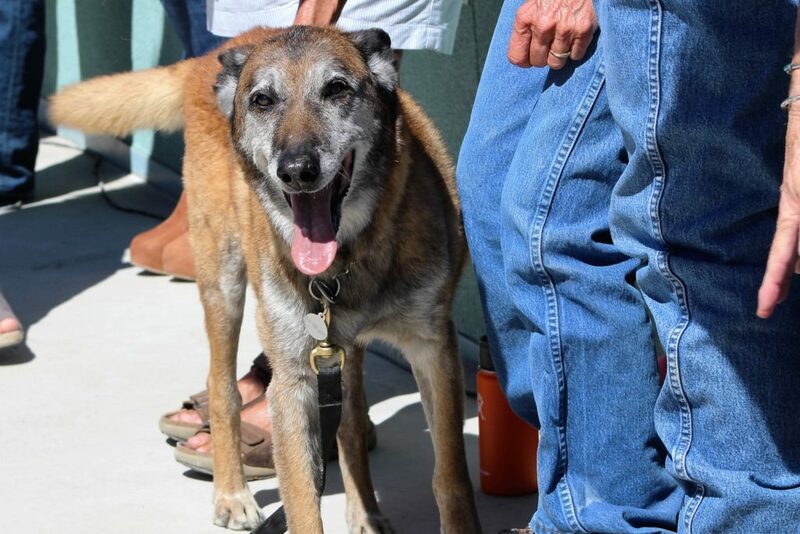 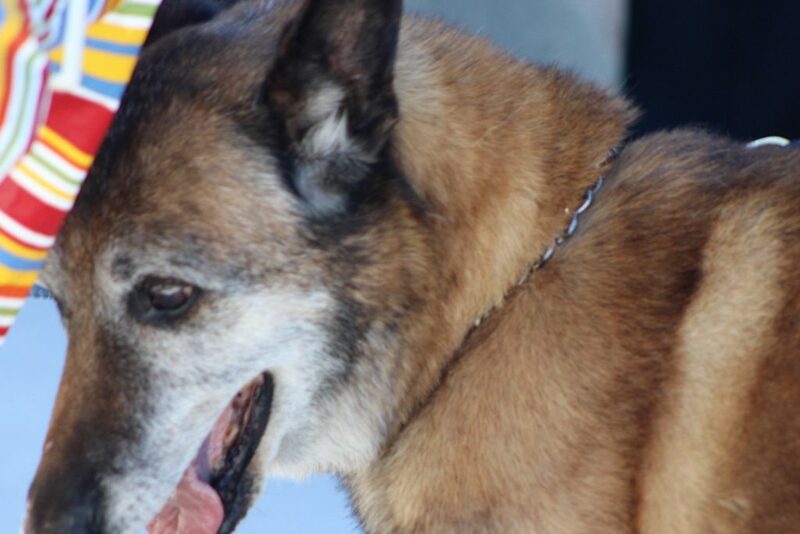 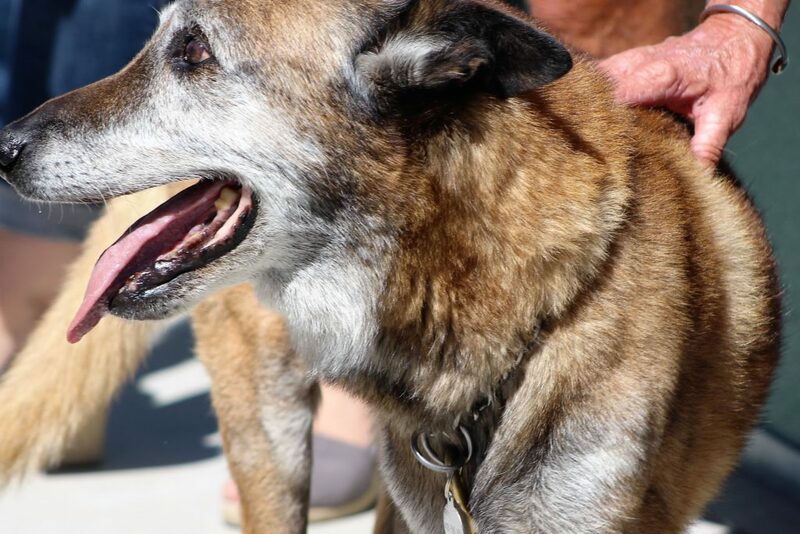 Besides covering training for the K-9s still on duty, the group also picks up the tab for retired K-9 officers, like 16-year-old Castor, who belongs to Iron County Sheriff’s Office Lt. Del Schlosser. 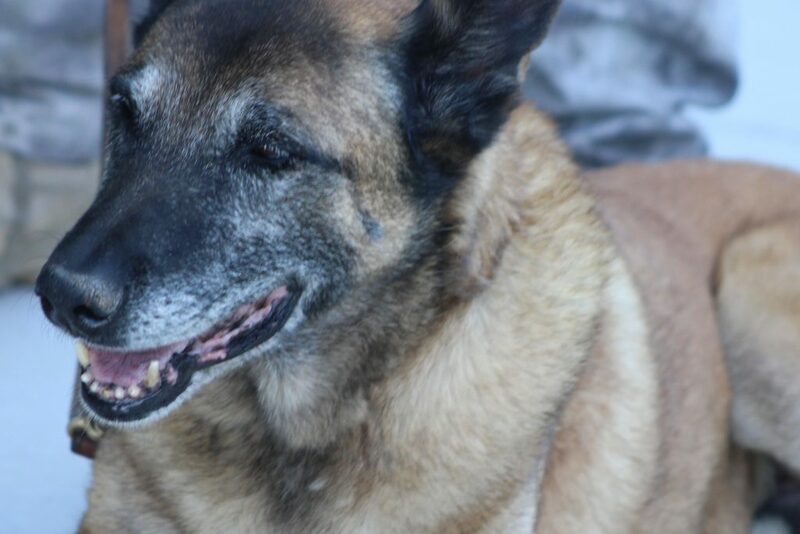 Castor has had several medical problems in the last year generating high veterinarian bills that would have been prohibitive for Schlosser had to cover out of pocket. Schlosser’s 13-year-old daughter, McKenzie, who shared her binky with Castor, said she couldn’t imagine not having him in their family. 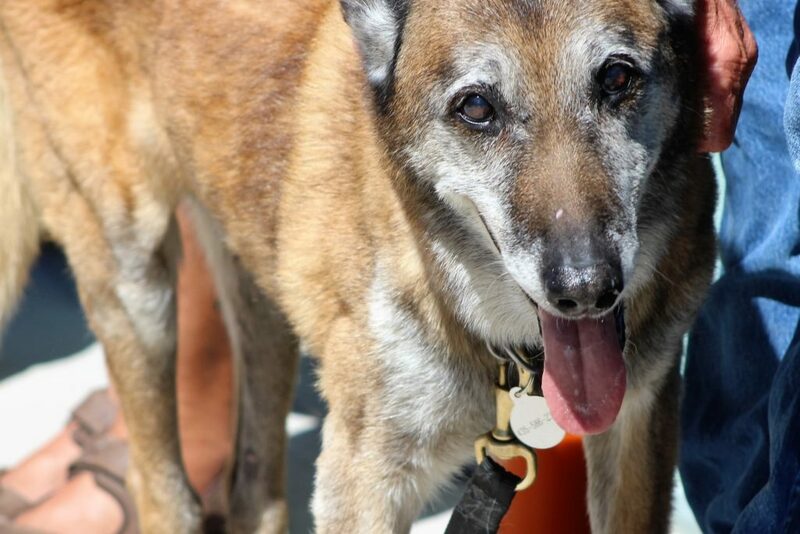 Taking care of Castor is one of the big things we’ve been able to do that we absolutely could not have done without the foundation and the support of the community. 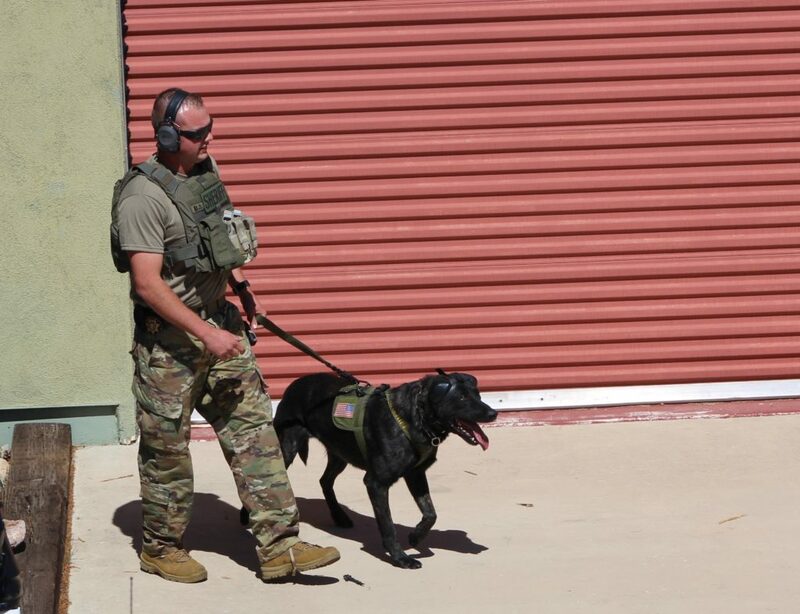 And we have specialized training we are able to send all of the handlers and their K-9s to in Dallas, Texas, at the end of August. 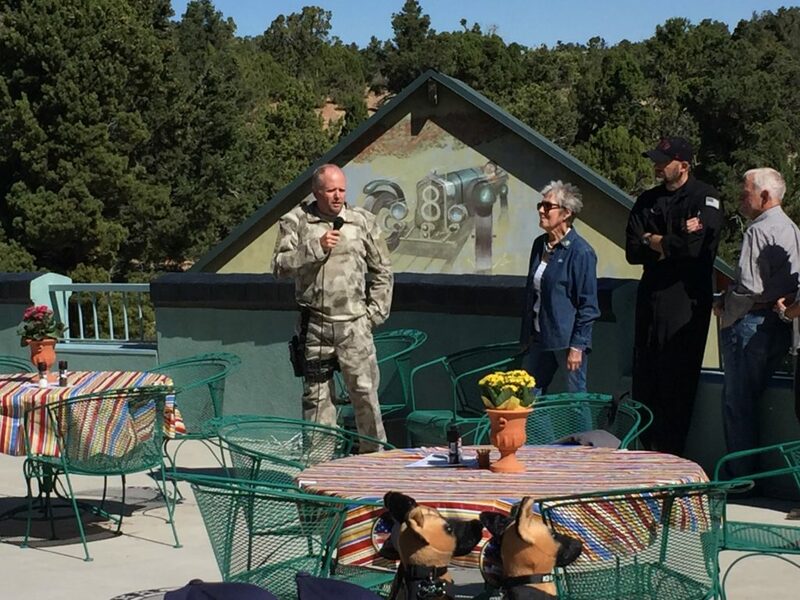 We couldn’t have ever been able to even consider that – at all – without this foundation and the help and donations of the community and people here.